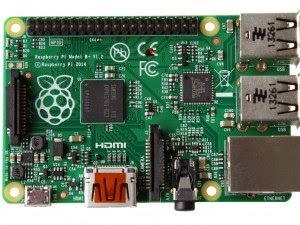 How many of you bought a Raspberry PI that is now lying around doing nothing? When the Raspberry PI took the world by storm in 2012 it seemed that every man and his dog bought one. Some people bought the Raspberry PI for retrogaming whilst others bought the Raspberry PI to use as an XBMC media centre. There were some really clever people who did far more imaginative things such as this and this. I documented some of my projects for the Raspberry PI on this site such as using the Raspberry PI as a web server, connecting to the Raspberry PI from a tablet and using the Raspberry PI to rip music from online radio stations. I even described how I used a Raspberry PI to find my cat. There are some people who bought the Raspberry PI and didn’t have any reason to buy it but they bought it anyway hoping to find a purpose later. The truth is that there are a lot of people that probably found better solutions for media centres and retrogaming. Personally I found the the OUYA was a better choice for games emulation as it supports more systems and is easier to set up. Now that the hype has died down there are probably hundreds of Raspberry PIs sitting in bottom drawers doing absolutely nothing. I have re-purposed my Raspberry PI. I use it for various automated tasks such as using it to send me web pages that are blocked at work or posting tweets about links to pages on this site (These are future guides). The Raspberry PI model B+ is due in July and has many improvements over the original PI whilst keep the same low starting price. Key selling points are more USB ports, the switch to a micro SD card, lower power consumption and better audio. The Raspberry PI model B+ might be a harder sell than the original Raspberry PI because there are now dozens of single board computers on the market. It is easy to forget that the Raspberry PI was designed to aid learning and the target market was initially schools. However, it was the many strange and diverse uses which were devised for the Raspberry PI by people willing to experiment that gave it the cool factor. The Raspberry PI price point is key to its success as it is fun to experiment with something that costs £25 but it is not fun to experiment with something that costs £100+. I was sent a link to a video from Newark Electronics / Element 14 who are one of the major distributors of the Raspberry PI. The video doesn’t contain anything specifically to do with the Raspberry PI but it shows what you can do when you are willing to experiment. Ben Hicks obviously has a lot of technical know-how and I wouldn’t expect all of you to do what he does and start ripping apart old games consoles or computers apart. By watching this video though you might be inspired to take your Raspberry PI out of the drawer and come up with a new purpose for it. Consider perhaps buying a breadboard and trying out basic electronics or using the Raspberry PI to learn how to use the command line in Linux. There are guides all over the internet showing just how to do both of these things. In the video below, Ben takes a Sinclair Spectrum and modifies it to output the images to a small LED screen. He also removes the EPROM from an old computer and replaces the ROM built into the Sinclair Spectrum with the EPROM. Why? Well the EPROM enabled Ben to have not just one but two operating systems on the EPROM. A dual booting Sinclair Spectrum, brilliant.